In this monumental account and brilliant new analysis of the Napoleonic era in Europe, Frederick W. Kagan, distinguished historian and military policy expert, reveals the complex interaction of continental politics and war that dominated Europe in the early nineteenth century. Using hitherto untapped archival materials from Austria, Prussia, France, and Russia, Kagan tells the story of Napoleon and Europe that is vastly different from previous histories. He presents these crucial years from the perspective of all the major players of Europe, as well as countless others. With clear and lively prose, Kagan deftly guides the reader through the intriguing and complex web of international politics and war. 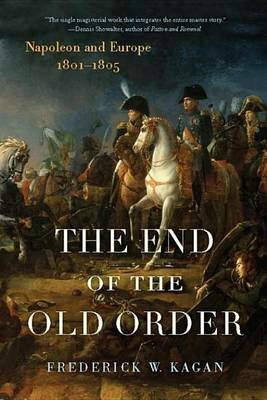 The End of the Old Order is the first in a new and comprehensive series of studies of Napoleon and Europe.